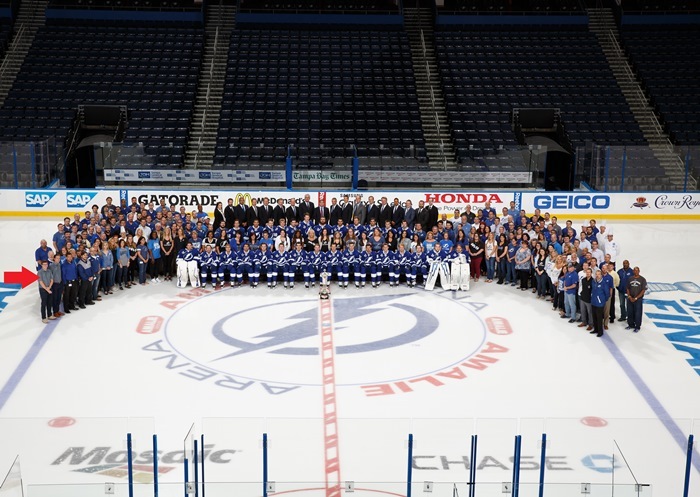 For the past eight months, political science student Doug Spencer has spent his days interacting with the National Hockey League (NHL) players and staff of the Tampa Bay Lightning. 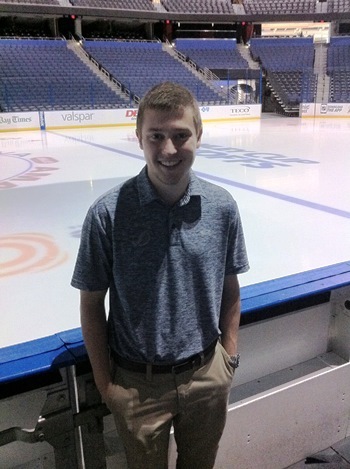 Spencer has been working as a media relations intern for the Lightning to fulfill the requirements of his final two CO-OP work terms. Clearly, the highlight of his experience was the opportunity to work during the Stanley Cup final alongside the likes of Don Cherry, Mike Emrick of NBC, and TSN sports announcers. Spencer saw how his CO-OP position related to his political science program when he observed the Lightning’s quasi-governmental structure in action, especially when he returned to the club to witness how the entire NHL organization comes into play during the Stanley Cup finals. One of his political science courses was in qualitative research methods, which taught him techniques he found particularly useful when called upon to write weekly prospect reports for the Lightning and summaries of their American Hockey League (AHL) affiliate team, the Syracuse Crunch. This put him in regular contact with AHL coaches and managers, as well as their counterparts in the Canadian Hockey League and United States Hockey League. 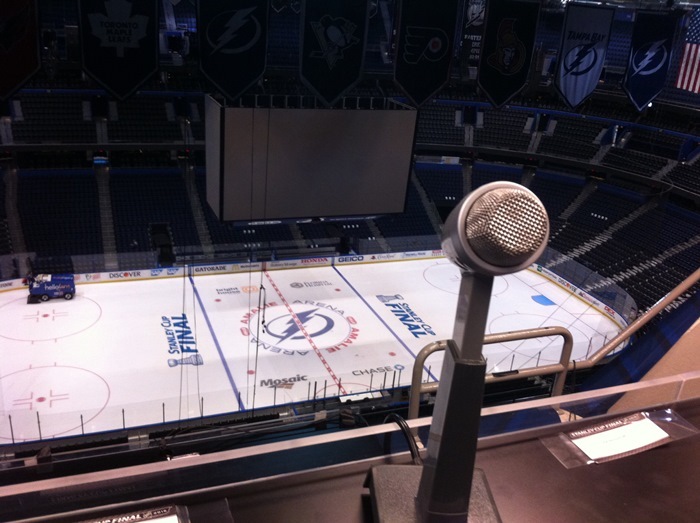 Although the department to which Spencer was assigned is tasked with day-to-day hockey operations, its members also communicate with the Lightning’s other departments. Spencer would see players and senior staff, such as coach Jon Cooper, and even General Manager Steve Yzerman, who he says were always approachable despite their busy schedules. He says that everyone worked well together, which contributed to the club’s positive environment. “One of their slogans is ‘Trying to create a world-class environment’ and that’s the best way to describe my experience there,” said Spencer. Spencer met his future Lightning supervisor in Tampa Bay while playing on the same charity ball-hockey team; they became friends and stayed in touch. The position was supposed to be for four months, but the Lightning offered Spencer an extension, which he was able to accommodate by changing his CO-OP sequence. “I thought ‘why not avoid the Ottawa winter and stay in Florida’,” Spencer joked.